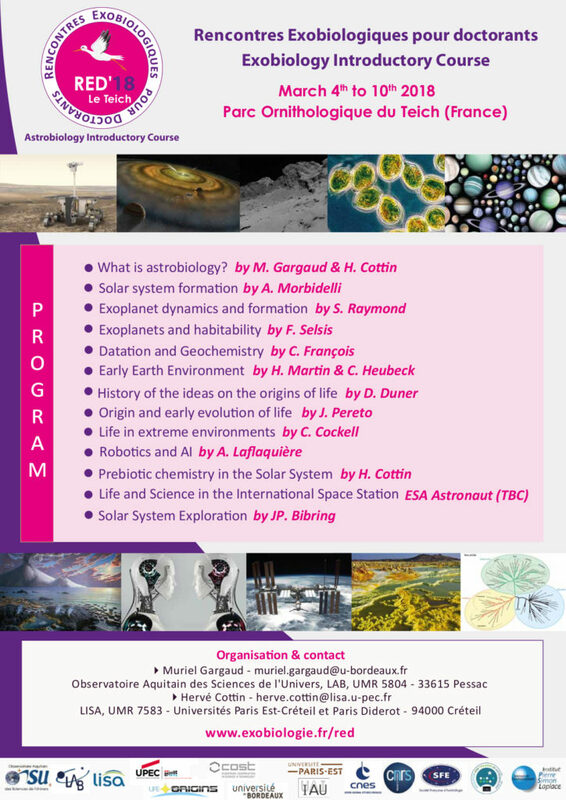 The third edition of the Astrobiology Introductory Course (Rencontres Exobiologiques pour Doctorants 2018 — RED’18) will be held from 4th – 10th March 2018 at the Ornithological Reserve of le Teich, France. The school is primarily aimed at PhD students and early career researchers (from any country) in astronomy, geology, chemistry, biology, or history / philosophy of science. The astrobiology course will provide interdisciplinary training in the origin of life on Earth, its evolution and its distribution in the Universe. 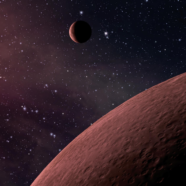 The programme of RED’18/Astrobiology Introductory Course is complementary to the one of RED’17, however it is not necessary to have followed it to participate in this new school. Further details, including the course programme and registration information can be found here. There are 12 grants of €400 (to cover accommodation, but not travel expenses) available for COST Origins members. All applicants for a COST grant should include a letter of motivation with their application. More information can be found on the school website. The application deadline is 15th January 2018.